The world is a much smaller place than it was just 50 years ago, and many more of us have the opportunity to travel to new and interesting parts of the globe. With that privilege comes a bit of difficulty, however, as travelers have to know the language of the land they want to visit. The Ivy Guide is a small translator that can help people learning a new language to understand the words they are reading. The Ivy Guide comes in two pieces. 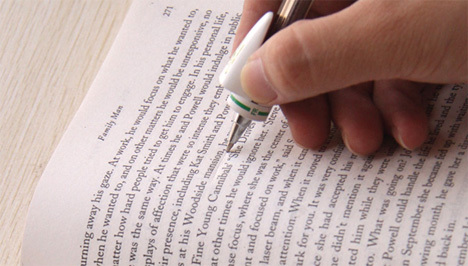 One piece fits over a pen or pencil, much like one of those comfy soft pen grips. 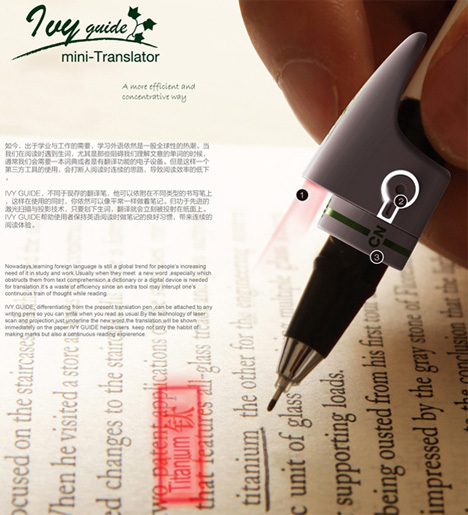 The pliable interior allows for different sizes and types of writing utensils to be used. 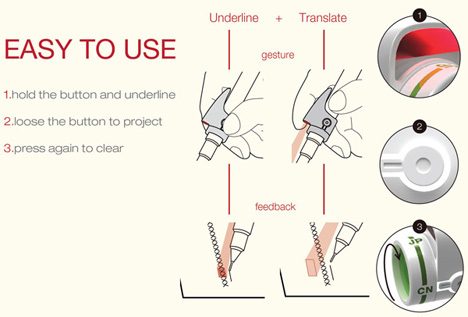 When the user is reading and comes across an unknown word, he underlines it with the pen and the Ivy Guide instantly projects a translation directly onto the page. The other part of the device is a USB dongle. 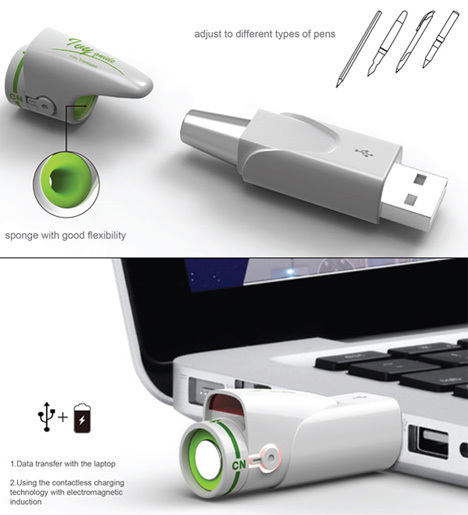 The pen grip piece fits neatly into the USB piece for data transfer to and from a computer. In theory, this would be the way users would download new words or possibly whole new languages to the Ivy Guide. With so many students choosing to study outside of their home countries, a device like the Ivy Guide could serve to make the learning experience so much easier and less intimidating. The device is still in the concept stage at the moment, so it will be interesting to see just how far this idea can go. See more in Futuristic or under Technology. April, 2013.